Nokia E6-00? A Revamped S60? If you just jumped from your chair thinking that its a leak, then sorry its not, you may choose to leave from here. 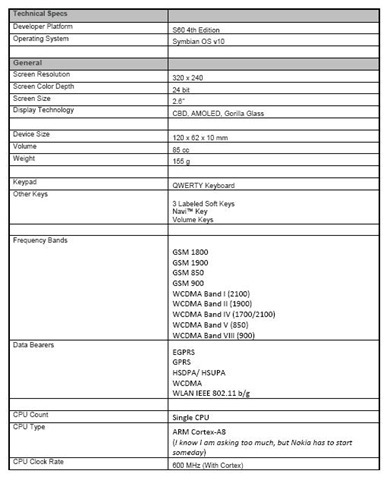 Here you will get what Nokia E6 should be or what possibly it could be. No, I am not some hacker, who might have sneaked into some Nokia Server and would have found some XML, neither do I am someone, who might have hands on some proto device, nor I am any important guy that Nokia mind to send prototype devices to understand the demands (my own country Nokia might not even know a word about me). Who I am then and what this is all about? Just a Layman, who might not be some kind of geek or not that much into mobile developments, still he uses the phones or what we call them now days … the smart phones. Someone, who doesn’t know that his words will affect the multi-billionaire venture or not, but he dreams, he write to tell that what’s better to be included into lives of Laymans just like him. Another Nokia world ended and reminded us that we live in a real world and nothing changes here like fairy tales. Be it Apple, be it Android or Microsoft, all are companies and follows a same systematic process for constructing things. Why were people expected MeeGo phones, when even lead developers have no clue of things around that? Why a business will release another showstopper, when one of their own still have to reach in consumer’s hand? Expectations should have been real and then it was a great show indeed marking a superb design language in their new line of products. Even if we kept on hearing about all these devices and watching videos of Symbian^3 in all recent days, now all of sudden, the logical mind senses a fear. A fear that its all about Symbian^3, Qt and touch screens now and S60 & non-touch might be dead now or just cheap category like C3 or E5. So, no more those wonderful E-Series devices that had a compact screen, near perfect keypad either you use with one hand or two and those insane battery lives, which were kind of guarantee that you wont be running out of juice for whole day and even at another day, if you forgot to insert the charger pin at end of night. Really? Nokia E6-00: A revamped S60? While all of the future development is moving toward Qt and as per current Qt development status, it’s very likely to get a revamped S60 now, high time to be so. Nokia C5 and E5 OS design elements suggest that like touch phones got Symbian^3, something big must and must be on its way for non-touch phones too. There might be much noises from many sides, but Nokia can’t afford to abandon their forte that’s been non-touch phones always and even now. Remember its the touch phone they messed up, otherwise have you heard any Android, Bada, iOS or anything else that could have compete with Symbian? Yes!! to match the standards set by Symbian^3, its likely that Nokia coming up with a revamped S60 very soon. Question is “Are they going to mix it up with touch support like they did with S40 touch and type? Or they will concentrate more on core stuff like smooth social contacts, social messaging, much more efficient and intuitive Nokia Messaging, a proper blogging app and the updated map with features like Check-ins”. Same about the battery consumption, as we are already hearing that despite of having 1200 mAh battery in place of 1500 mAh, Nokia E5 working as same good as Nokia E72 was, the credit sure goes to underlying tweaks to the OS and app ecosystems itself. Definitely, Nokia wont be stopping the same with cheaper and compromised devices like E5 only. Like many around the globe, even I don’t know that what we exactly want from Nokia, but its high time that S60 should also get some love as obviously Qt has to make its way there too. The requirement of a revamped S60 might be the core reason, we have not seen a successor of almighty E72 yet, what’s say? Nokia E6-00: What will be the shape and hardware? I am sure, if someone set up a poll that what shape an E-Series should take then many would think beyond E72 shape and form factor. A little things here and there, but everyone believes that the keypad shape which E71/E72 enjoyed was best of its class. A perfect device that go marry with each of your typing needs , no matter you are using one hand or two. After announcement of E7, while it found many attracted towards it, the social web is also buzzing with opinions like its hard to survive with a ‘business’ device that might be draining battery like multimedia ones. I find no reasons that Nokia can’t sense that. They need to keep the same QWERTY with minor modifications like larger space bar or may be nothing. What else you see from the design language of N8, E7, C7 etc? Mono block. Single piece of metal, which may be even ended in sacking the flexibility of changing the battery here as well as they will push for keeping the device even slimmer than Nokia E72. The tougher part is Battery and Camera. Nokia does not seems to be settled for any better slimmer battery than that 1200 mAh one that we are seeing in every next device of theirs now days. Though whoever had their hands on upcoming Nokia E5 had promised that its not a single bit lesser than Nokia E72, when it comes to battery. While fans around the globe wishing for come back of 1500 mAh only, which has been imprint of E-Series lately, there are strong reasons that Nokia will be settling for the same 1200 mAh one. Like they bring the concept of universal charger for devices ranging from $30 – $500, why not they might be talking on same battery among their new line of devices? That’s the most toughest part and what compromises we expect here, are already heartening. They way, for keeping slim profile of design, Carl Zeiss and Auto Focus has been sacked from E7 and C7, its likely that Nokia ready to the same again with same 8MP camera. Only hope is that constant buzzes of disappointment over Nokia E7 camera, which can’t scan Business cards or Barcodes, Nokia will come out of their official line that 8MP full focus is bringing not so bad results. CRAP.. CRAP … CRAP.. Nokia needs to hear this out in loud. The success of Nokia E72 was also from the factor that it was the first business series with a top of the class camera and multi-media experience. I bet users didn’t liked nor will like the experience without Macro shots like C7 and E7 gonna give to them. 8 MP without macro shot capability is like some Ferrari,which can’t cross speed of 50kmph. Does it matter that what exterior or interior that Ferrari got? We like our devices be slimmer like Apple, but in any case don’t want to see Nokia’s camera like Apple’s ones or like those Samsung ones coz a proper camera unit can’t fit into a slim body. Hell with the slimmer build then, we can’t accept anything lower than E72 camera. 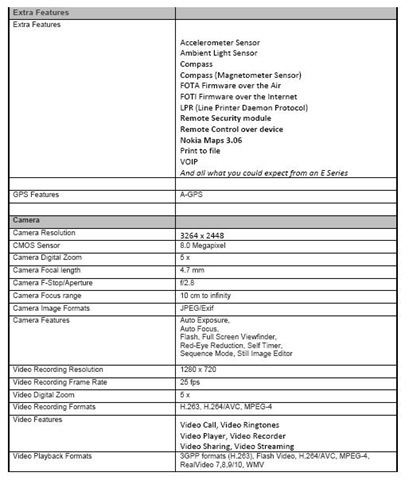 I mean what this CRAP 8 MP, should we put a big sticker of 8MP on the back of camera to show it off? We need something real. 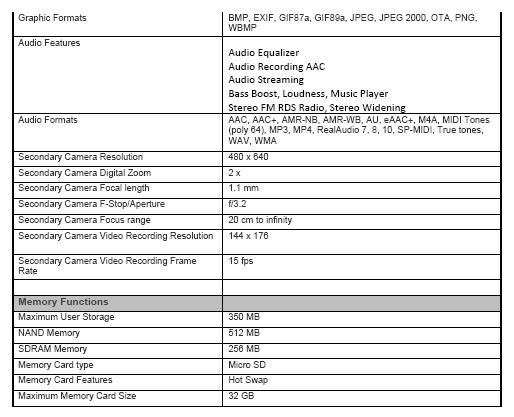 I think Nokia need to hear it loud before its too late that its Nokia and here we expect cameras like Nokia only. Nokia E-Series been always known for their top class connectivity options, so nothing spectacular when we find Pentaband frequency obvious here. Questions are after that. Usually Nokia been providing their best of connectivity options to their E-Setries, so people will sure be expecting all of these, though last two options seem not that reasonable for something that has just 2.4”-2.6” screen size, but still no wonder if Nokia manages to include at least terminal mode in their successor of Nokia E71/E72 as that would be pure blessing when it comes to presentations in company meetings. 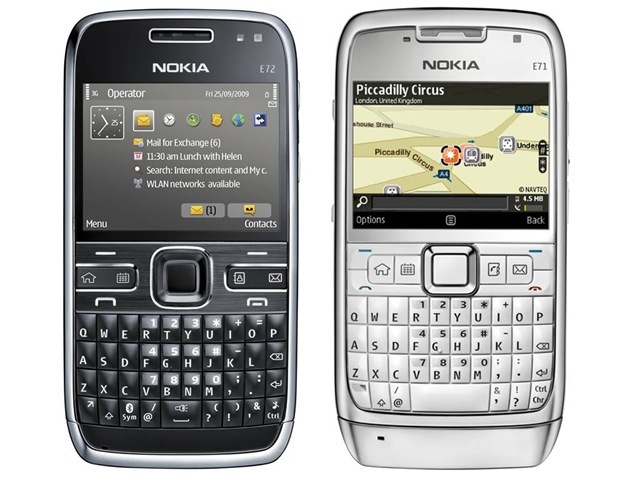 So, these were a few of my own quick thoughts that what Nokia E6, the successor of Nokia E72 might be look like or feel like as even Nokia admitting that Nokia E7 is not the successor of E72, but it matches like of Communicator only. Definitely there are many other aspects that to be weighted before formalizing a design that will rival Nokia E72 likes. I might have just started the debate … but I know many wanna finish it off.. lets hear your views in loud. I thought to update it with a formal specs sheet as well… check out and suggest me more spread the words, if you wished the same. I completely agree with you on the camera. Non autofocus is a step back. After the E7 was announced I quickly pre-ordered the N8. The E7 is not a replacement of the E71 I’m currently using. Neither is the N8, but it’s high quality camera made me want it. I never bought a N82 or N86, so the N8 will be my first true cameraphone. Now, if Nokia will sell a true replacement of my E71 I would buy it: it needs physical qwerty, a great battery life, and autofocus camera. Thanks dear. By tonight I will also add a very much possible and feasible spec sheet. Till then please add what you want to see into a non touch, 2.4″ – 2.6″ screen. quite an expansive article.. Agree on a lot of points.. But then, to survive the cut-throat competition, nokia needs to innovate.. It has to follow the same strategy that it had followed when it was at its peak, albeit in a different way. E-series is generally considered boring, so throwing in touch was a good move. However, auto focus would have been good.. But, yes its a big but.. C’mon guys, its E-series, and 8mp in a business-centric device is huge.. No other company provides that.. So, you cannot pull nokia on that.. And as far as battery is concerned, well, that can only be known when people get to use it.. Lets wait and watch while nokia does the work..
Agree on some points, but still remember my post about Non-Touch smartphones and that huge one from AAS. Even your timeline might have noticed many people, who are overwhelmed by N8, SGS and iPhone, but love their E72 keypad even more. That form factor is something that is here to stay. As about touch, then sure, Nokia got one and they could keep on providing, but if something from them is such a huge success as like E71/E72 that is still here to stay even after Nokia N8, then there should be a tribute to that… and why not E6-00? They are never failed in Non-Touch segment, tell me even one OS that would have challenged them? BB OS failed big time against them and there was no other ever. 8 MP is huge, but they have implemented it in thin profile, so very much possible, remember before E72, there was non with 5MP in Business series. my point is.. Nokia is in the right direction with experimenting this series, which may otherwise die down out of being monotonous.. The keypad is one of the best in class. But that should not come in the way of innovation.. There were nokias with an antenna rod protruding, which were huge success too, that doesnt mean they should have continued with that particular style.. Evolution is required and if nokia keeps on staying away from touch just because it has failed once, would be like a conscious effort to kill one’s self.. The thing is.. why to be just black or white? Nokia has an unparalleled range of devices. They could continue with both, nothing stopping or restricting Touch developments, by a Non Touch phone. After all still there are many out there who love non touch phones as well… one should not discard others views. Forthcoming E6: a built-in fm-transmitter would be greatly appreciated by a large crowd. The photo of E6 displayed in some sites shows no secondary camera, which is a must. bought 3 e-series in past 3 yrz…. E61, e71, e72…. I wish nokia would understand that e-series lovers are not always business persons but some people love it cause its easier to chat…..
Would love if Ram is 700 mhz… Camera 8mp wud be cool…. Most importantly, i wish nokia wud give a bigger screen with touch support and a qwerty…. 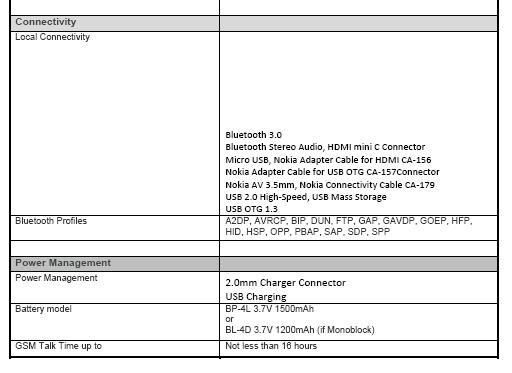 Motorola flip got touch screen and qwerty…… Also the mp4 doesnt play that smooth in e72…. Wish nokia’s real player supported more video formats like other android cells….. Price should be around 20-24 range but everything should be there……..
Anywayz, hope e6 will be something we all expecting…… Even blackberry created new OS for 9700 bold….. So even if symbian, they could try creating a changed symbian?…. Something different……. It feels heavy, it makes you feel like you are really dealing with a true smart phone, regardless the smaller screen size. Next Next post: Nokia S tablet to showcase MeeGo?